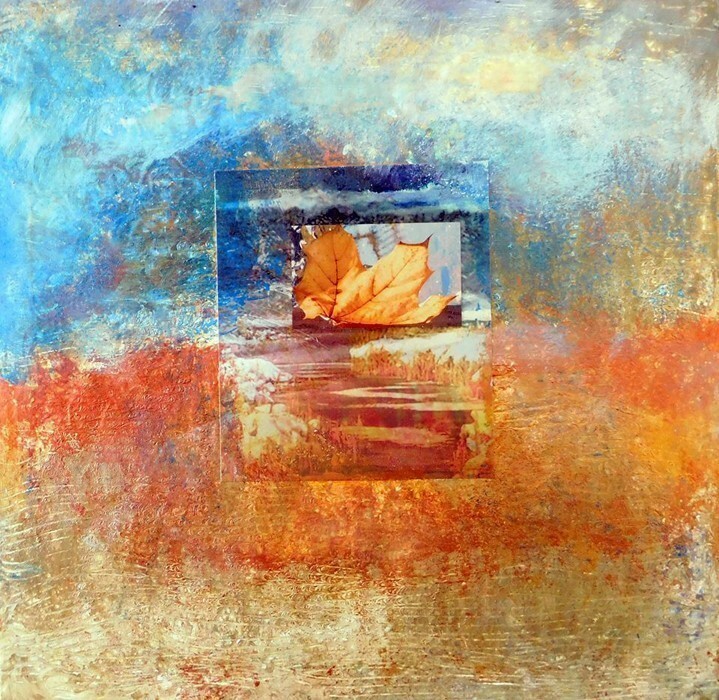 Blending nature and spirituality, Connecticut artist Lori Barker explores the rhythms of life in a new collection of mixed media works on display at the Gunn Memorial Library Stairwell Gallery from January 12 through February 23. Reception will take place on Saturday, January 12, from 12-2pm. Barker has exhibited her award-winning art in many New England venues and is a former teacher and graduate of Southern Connecticut State University; with further studies at Savannah College of Art and Design, Bennington College and Omega Institute.